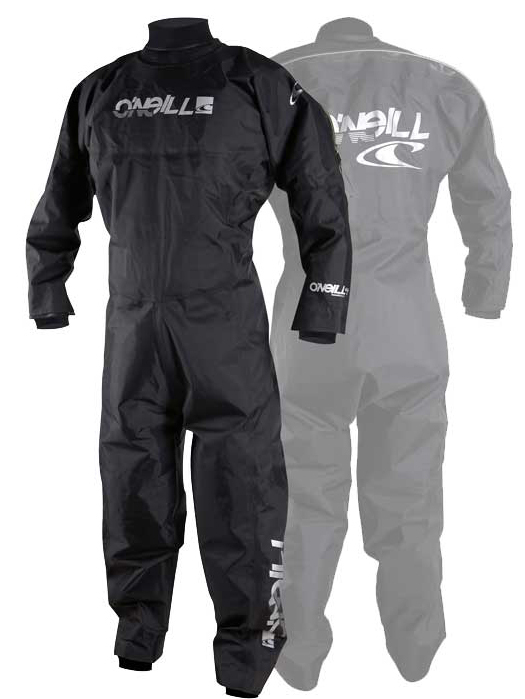 O'Neill Boost Drysuit - Breathable nylon shell made of abrasion resistant nylon. Loose fit for maximum rider mobility and comfort. Super dry and extra thick latex ankle and wrist seals are more durable and keep you drier than those on less expensive suits. Waterproof horizontal back zipper. Chafe-Free smooth skin neoprene neck seal keeps you dry and is much more comfortable than drysuits with latex neck seals. Have you ever pulled a latex neck seal over your hair? If so you will know that neoprene is the only way to go unless you are a barefooter. All seams are fully taped to provide greater durability. The O'Neill boost Drysuit also features built-in suspenders so that you can remove the neck seal while waiting in the boat or on shore. You can find a less expensive drysuit but you can not find a better option.